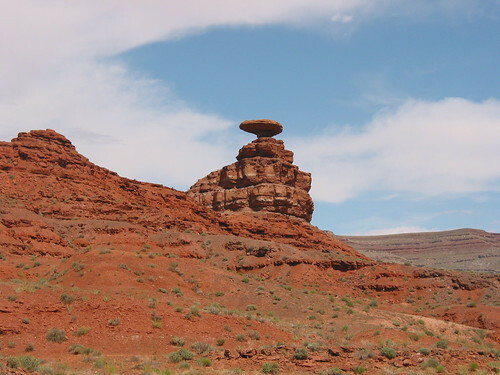 "Mexican Hat" is an amazingly balanced rock off the US highway US-163 in Utah. The 18 metres (60 feet) wide and 3.7 metres (12 feet) thick, almost flat rock, perched on a much smaller rock, derives its name from its sombrero (Mexican hat) like shape. 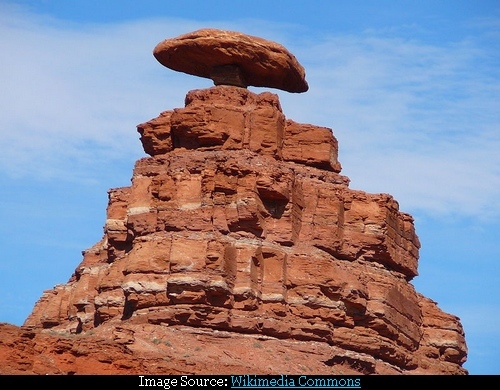 Because of its fame, a small nearby town, south-west of the rock, also bears the same name - Mexican Hat. Credits: Harry who brought this amazing rock to my notice. Thank you Harry.